That’s it folks, Pakistan wins the Test matches in what could be the biggest ever Test win by beating Australia by 373 runs in the second Test to claim a 1-0 series victory. Read more about it here. Up next, we’ll have the England in Sri Lanka Test matches in November. Australia salvages a draw in the First Test against Pakistan by grinding our a record-breaking day-five comeback in Dubai. Led by Usman Khawaja and Tim Paine, Australia chased a world-record 462 to win in an unprecedented effort for a draw in Test match history. Read more about it here from The Australian. Next, we head to Abu Dhabi for the Second Test starting from the 16th of October. With the return of veteran fast bowler, Peter Siddle, Australia is said to have adopted a more scientific nature as they prepare to counter Pakistan’s leg-spinner, Yasir Shah. Yasir has long been a threat and his record in the UAE (Pakistan’s proxy home since 2010) has been outstanding. The two match Test series kicks off Sunday, October 7 and run’s through to the 20th of October. Live Stream: Starting on 7 October (Sunday) at 06:00UTC | 10:00GST (UAE local). Know your timezones? Use WorldTimeBuddy.com if you want to check your timezone accurately. Our UTC timezone is set to GMT+0 and GST timezone at GMT+4. 2) Install our VPN on any device that you’ll be using to watch the 2018 Australia v. Pakistan Cricket Tour. Fox Sports will be providing full live coverage of all 2 test matches. However, you’ll need a paid subscription with them to access their content. Availability: Australia only – Connect to our Australia (AUS) servers first before starting the stream! Tip: Australia v. Pakistan Cricket Tour will be airing live from 7 October 2018 on Fox Sports. Watch all 2 test matches from SonyLIV for free (5-min delay). Availability: India and Pakistan only – Connect to our India (IND) or Pakistan (PAK) servers first before starting the stream! 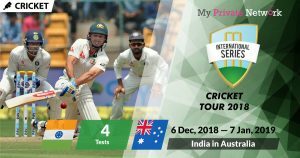 Tip: Australia v. Pakistan Cricket Tour will be airing live from 7 October 2018 on SonyLIV. Live matches will only be displayed accordingly when the live match starts. Sky Sport will be providing full live coverage of all 2 test matches. However, you’ll need a paid subscription with them to access their content. Availability: New Zealand only – Connect to our New Zealand (NZL) servers first before starting the stream! Tip: Australia v. Pakistan Cricket Tour will be airing live from 7 October 2018 on Sky Sport 3. Watch all 2 test matches from PTV Sports for free. It is currently available online via Goonj. Availability: Pakistan only – Connect to our Pakistan (PAK) servers first before starting the stream! Tip: Australia v. Pakistan Cricket Tour will be airing live from 7 October 2018 on Goonj’s PTV Sports channel. SuperSport will be providing full live coverage of all 2 test matches. You’ll need a paid subscription with SuperSport to access their content. 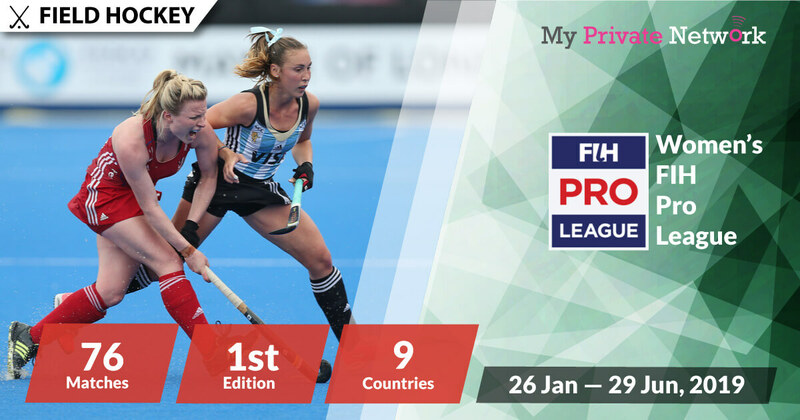 Availability: South Africa only – Connect to our South Africa (ZAF) servers first before starting the stream! Tip: Australia v. Pakistan Cricket Tour will be airing live from 7 October 2018 on SS 2. We hope you found this article informative and useful. Please feel free to share it with your friends or family that want to watch the Australia v. Pakistan Cricket Tour too!